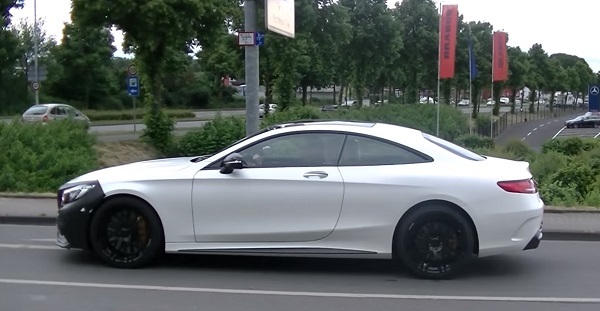 Looking at the car called the Brabus 850 6.0 Biturbo Coupe, it is not so easy to find the source, which is the coupe version of the Mercedes — S63 AMG. Nevertheless, the company Brabus has chosen this model, in order to turn the car into a real monster on wheels. Looking ahead, we say that she did it more than excellent. Novelty is of great interest to the person and not the statements of representatives of the company Brabus shortly before the start of the International Auto Show in Geneva. But when the words came on the final design management experts, the media began to search all available and unavailable methods, in order to get used to all the information about this machine. 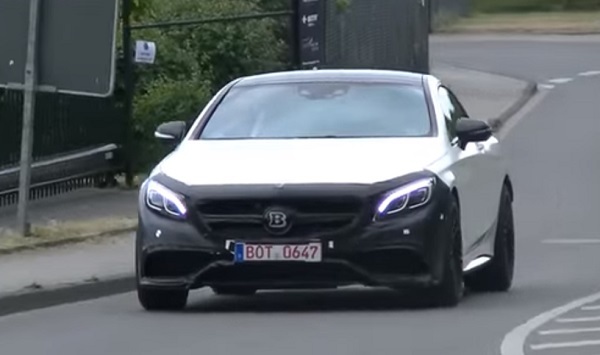 And all because Brabus called the impending new product, which is going to present in Geneva, the most powerful front wheel drive coupe in the world. Actually, before the reporters could not start anything scout car dealership. Because Brabus has gathered a huge audience around their booth, which was lucky to get acquainted with the novelty of the first with such a close distance. Now, since we are at its disposal a solid amount of data, we can arrange a full review very, very interesting news. Yet not every day you see a powerful coupe presented at the automobile market. Exterior Brabus 850 Biturbo 2016-2017 Already in the appearance you want to buy a car and never sell it. This is the power of this aggression, is power. Indeed, not so long ago we became acquainted with the source code, on the basis of which made 850 Brabus Mercedes S63 AMG positioned as externally charged, sporty, bold, ravenous car. But, if you put both cars close, the S63 seems so simple. 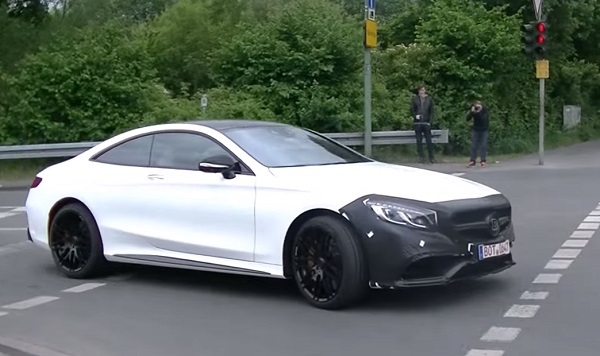 Brabus 850 6.0 Biturbo Coupe, in turn, is a real predator, a bloodthirsty beast. It is this and tried to make him designers, highlighting the incredible specifications corresponding exterior. The front part is decorated with huge false radiator grille with a horizontal crosspiece in the center and a large nameplates and the image of the letter V. The grille flows into a constricted, aggressive optics, which looks at you like Hidden beast with blazing hot breath. The presence of LEDs is unlikely someone will surprise. Very elegant car looks in low light when switched «eyelashes» daytime running lights are also based on light-emitting diodes. The powerful front bumper with air intakes and splitter allows you to understand that there thought about aerodynamics as follows, combining outstanding line with effective wind resistance capabilities. On the side we see a large door, providing a comfortable fit driver and front passenger. Vyshtampovki original thresholds, refined lines — all this is a very positive effect on the perception of the charged compartment. Powerful housings exterior mirrors not only provide excellent visibility behind the machine (in this car you now and then will look in the rearview mirror, checking stood there in a stupor the next driver, which you in no overtaken on its Brabus), but also and duplicate the turning signals with embedded LED strips. Of course, it is impossible not to draw attention to the unique alloy wheels, covered with a golden coat of paint, emphasizing profitable cheeky, awesome body black. The diameter of the discs may be different, depending on the customer’s wishes — from 18 to 22 inches. The back of the present we have the original optics, powerful bumpers, an enormous diffuser, dual exhaust pipes from each edge of the bumper. Plus, we note quite practical boot lid and carbon fiber trim on it, suggest that there is, though small, but still a spoiler on the car. Interior Brabus 850 biturbo 2016-2017 For such a luxurious exterior could not hide a boring, dull interior. After all, we are dealing with a company Brabus. Despite the outstanding performance, only in the engine compartment are not experts concentrated their attention. As a result, we have a splendid salon, photo and video materials which will allow to fully appreciate the efforts of the German masters. Let’s be honest, it’s a car, especially for two. But anyway back sofa has an excellent fit, a comfortable sofa. Of course, the interior is made with high-quality, soft, breathable leather. However, the focus would be desirable to devote the front. For a start — a unique chair decorated with a gold color elements, a unique line. Excellent lateral support, adjustable electric components chair, soft leather. All this makes it so comfortably in their seats, even hard to describe such feelings. Driver and front passenger shared fairly high tunnel with a hidden box. It also housed the original transmission handle, a special joystick for controlling multimedia and not just, as well as a few extra buttons. At the disposal of the driver clipped the bottom multifunction steering wheel, also received a lot of elements painted in gold. Note, in the cabin of more than two hundred members, called because each of them, we will not. But add that they appear on a black interior and a refined interior LED lighting downright excellent, superb and delicious. Behind the wheel is hiding a huge color screen, which displays all necessary, useful and interesting data about the car, its systems, sensors and so on. Digital speedometer and tachometer radii made like analog devices, are designed very original. You can easily get all the data you need with on-board computer screen. Next to him, but in the center console, located multimedia display, which is responsible for navigation, music playback and more. On the level of ergonomics here complain. Everything in its place, which is located on hand, providing easy access to any key or information that require the driver or passengers. As we face Brabus 850 6.0 Biturbo Coupe, talk about the equipment especially does not make sense. Here, the machine is filled with literally everything about what can only dream of. And even more. All the filling of premium quality. Well, you can give a small list of the equipment that makes up the equipment provided by the manufacturer of super-charged coupe: multifunction leather steering wheel; color electronic display the dashboard; multimedia complex with a screen on the touch screen; Premium acoustics; leather upholstery; full power accessories; electric adjustment position of the front seats in more than 15 directions; massage, ventilation and heated front seats; LED head and auxiliary optics; alloy wheels with diameters from 18 to 22 inches; all kinds of electronic aids and assists security; a complete set of security systems; set of airbags and so on. And that’s about the price, we can not tell you anything. Alas, while the manufacturer keeps a secret at least the approximate cost of your masterpiece creations. It is also unknown exactly when the car goes on sale. Of course, a series of Brabus 850 6.0 Biturbo Coupe will be limited, ie the circulation of a charged coupe will be limited. On what kind of mark — too secret. 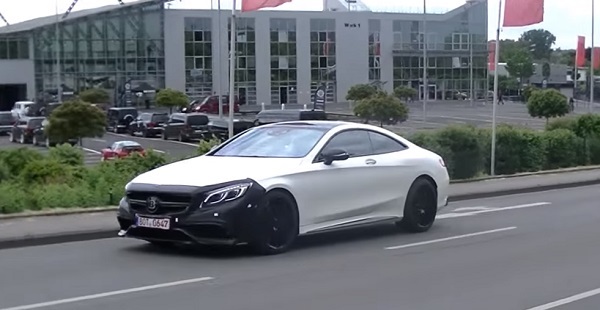 We note only that the source code, which is the S63 AMG Coupe, sold since last summer in Russia. We are asking for the car at least 10.5 million rubles. It is not difficult to guess that by Brabus price tag will soar even more. Specifications Brabus 850 6.0 Biturbo Coupe And whether specifications Brabus 850 6.0 Biturbo Coupe correspond to the manufacturer that we are dealing with the most powerful front wheel drive coupe in the world? Let’s try to figure it out. If you are familiar with the company Brabus and its creations, then surely you heard about their bi-turbo engine capacity of 5.5 liters and 8 cylinders. It was his and took as a basis in order to equip the Mercedes engine compartment. Of course, there has not been without major upgrades. Thus, engineers are involved, new forged pistons, crankshaft added with increased speed, changed the previous two turbines more efficient turbocharger and modified the exhaust manifold. Before the engine capacity of 5.5 liters boasted 585 horsepower and 900 Nm of torque. Clearly not a record, albeit a very respectable figure. What eventually became the engine for the Brabus 850 6.0 Biturbo Coupe? As the name already suggests that its volume increased to 6.0 liters. The power thus rose by almost 30 percent — to a mark of 850 horsepower. A torque at all now has 1 450 Nm at their disposal. However, torque is still reduced by limiting it electronically to 1,150 Nm. Otherwise, transmission to withstand the maximum number of trips in extreme operation, and then be out of order and did not have a chance to repair. By the way, as transmission appears semidiapazonnaya automatic transmission. Although the company claims that it is the most powerful rear-wheel drive coupe, still offers customers the opportunity to order a new product with all-wheel drive. If anyone is interested in dynamic performance (of course, they are interested in all), the car is capable of accelerating from zero to 100 kilometers per hour in just 3.5 seconds. But where overclocking looks more impressive from a standstill to 200 kilometers per hour. On it «fierce» Brabus takes only 9.4 seconds. As for the top speed, the true potential of the car in this component remains a mystery. The thing is that the top speed limited electronically collar engineers. Although do not worry, the car is limited to the speed of 350 kilometers per hour. Therefore, as is also apparent that the machine is capable of more.